A few days ago I wrote about an Android powered home game console called Ouya that was being developed by an all star team and backed by Kickstarter. Literally 48 hours after that article was published, the company behind it (with Kickstarters help) has managed to raise over 4 million dollars, (they only needed 1 million in 30 days) and over 20,000 Ouya consoles have already been sold (I bought one!). Now my ears are certainly open to hearing the opinions of others, but I have noticed that PC World, our friends at Phandroid, Gamasutra, and a few other sites have written some pretty harsh articles about why the new console is a “bad investment”, a “bad idea”, ect. Well, after reading these articles, I felt compelled to say exactly the opposite. As a long time gamer and Android user, I can give you quite a few reasons to ignore the negativity coming from these articles (not to say ALL of their points were invalid), and can also present plenty of reasons why the Ouya console is a damn good idea. Now I’m not saying this console won’t have challenges. Every new console has had challenges. But in all honesty, the reasons above are actually pretty lame and not thought out well when you have a deeper look. Let’s look at them one at a time shall we? And then after that, let’s have a look at the benefits of the Ouya console that were not mentioned on those articles. Opponents of the console feel that there aren’t nearly enough tablet optimized Android games, let alone games that will look good on a TV. That argument really amuses me, as when the Xbox 360 debuted, it only launched with 14 games in North America, and 13 in Europe. When the Playstation 3 launched, it also only launched with 14 titles. Many titles for the 360 weren't fully optimized for Full HD TV's (720P vs 1080p), but that didn't stop people from playing them on old and new televisions. For anyone who thinks Tegra 3 and 1GB of RAM can't handle insane graphics, go play Dead Trigger and then get back to me. As good of graphics as Resident Evil? Certainly not. Impressive graphics? Oh hell yes, and being able to play this game on my TV would make it oh so sweet (sweetER I should say). Now I happen to own a Transformer Prime (as well as an Xbox360 and Playstation 3), and I can personally tell you that there are WAY MORE than 14 games that look GREAT on it. I often play Nova 3 on my TV by connecting my Prime via mini HDMI, and it looks FANTASTIC. By the looks of things, Ouya will actually have more titles available on launch than Microsoft or Sony did that would run great on a TV, and you wouldn’t believe how many of them play amazingly well with a gamepad. Not enough games? Common. 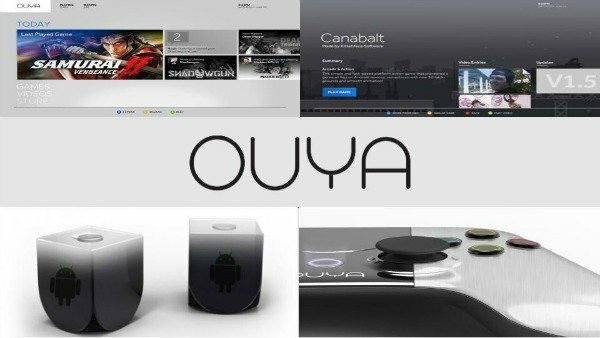 Tegra 3 and 1GB of RAM certainly isn’t enough for a PS4 or XBOX720, but Ouya is NOT a console being built to compete with these consoles, and that’s something many seem to forget. If that’s what they wanted, they probably would have added some form of a disc drive to the console and used similar hardware (duh). Also, remember that the console won’t ship until March of 2013, giving the dev team PLENTY of time to consider upping the processor and the RAM. This console isn’t an Xbox/Playstation killer, and it was never designed to be. The direction it’s going is something entirely different. Remember when Android didn’t get nearly as many apps and cool game titles as Apple did? Guess what? Those days are over. To say that developers won’t see this concept for what it is (a chance to develop for a new console EARLY) is just plain stupid. How many Android developers actually have the funding/budget/resources to develop for consoles like the Xbox360 and PS3? Very few. How many would love the chance to see their titles not only on Google Playand the Amazon market, but also on a new concept console that could POTENTIALLY be the next big thing? A lot more than you would imagine. Why are so many devs adding gamepad support to their games lately? Simple. To give their games more of a console experience (again..duh). Like any other startup, this company, and their product, can potentially fail. But from what I have seen so far, the reasons from so many news sites on why they feel the concept will be dead on arrival not only fail to convince me, but they fail to bring any solid argument as to WHY. Now that we’ve talked about why the “reasons” these sites believe the console will fail, lets talk about why I strongly believe that it has a good chance of being successful. Stay tuned for part 2 of this article, where we will dive more into why the Ouya console is a damn good idea. True! That would be SICK! Well said Julien! Even more reasons to give this device a fair chance! Yes it is a gaming console, but it is also Android, so potentially thousands of application avalable. Video Streaming (local Network, Youtube,...) Chating applications.. In theory (depends on a lot of things but..) Kinnect could work too. and with Android developpers, the best UI ever (minority report like) could come quickly plus dozens of games..